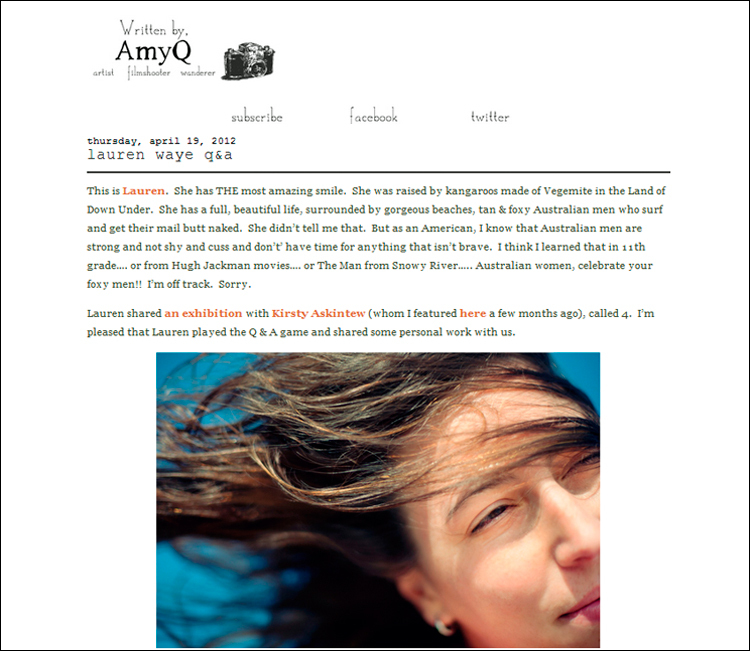 i have many beautiful american friends and amy q is one of them. i want to be just like her and maybe even live with her tribe, because they always seem to be having loads of fun being wild and beautiful and free. amy q has been doing a q+a series on her blog and it was my turn a while back (in case you missed it)! you can see it here and while you’re there, check out the other awesome photographers she has featured.